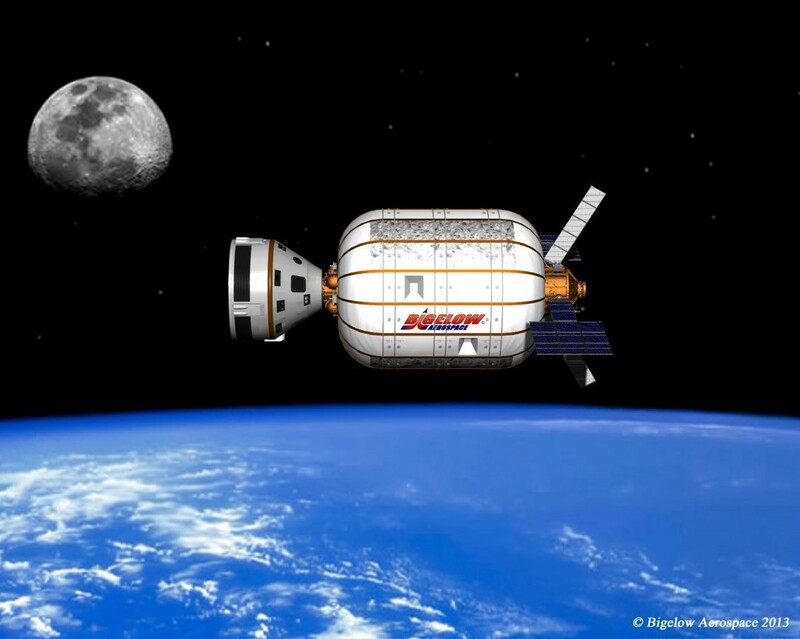 DENVER – Bigelow Aerospace and United Launch Alliance have announced a plan to launch Bigelow’s B330 expandable space module aboard an Atlas 5 rocket in 2020, to serve as a destination for commercial operations in orbit. Today’s announcement at the Space Symposium in Colorado Springs, Colo., came just one day after a much smaller test module – the Bigelow Expandable Activity Module, or BEAM – arrived at the International Space Station. Over the next two years, NASA will test the BEAM to learn how well the stretched-out room stands up to the harsh space environment. Bigelow Aerospace’s founder, real-estate billionaire Robert Bigelow, said the B330 may end up docked to the station as well. The module would add 330 cubic meters to the station’s habitable volume, which is 20 times the volume of the BEAM when fully expanded. The B330 would boost the station’s current pressurized volume by 30 percent. This entry was posted in GeekWire and tagged Bigelow Aerospace, Space, United Launch Alliance. Bookmark the permalink.